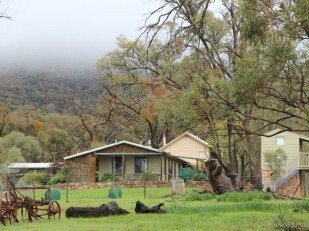 Set on 80 acres of privately owned bushland, on the foothills of Mt Remarkable in the Southern Flinders Ranges. 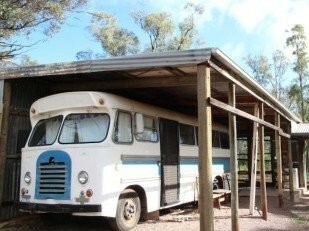 Offering Accommodation which is affordable and comfortable with the option of Bush Camping. Can be booked separately or with all accommodation. 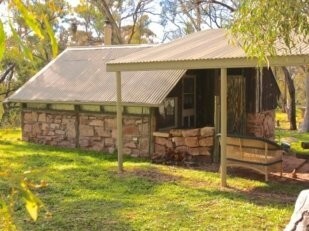 Judiths hut is a quaint and sweet little stone hut with ensuite. Cosy and Private. Perfect for couples. With large open windows the self-contained, 2 bedroom house allows you to enjoy the stunning views of the surrounding gardens and extending bushland. The Workshop is a beautifully designed rustic stone building. Fully self-contained Kitchen and upstairs Lounge with balcony views. The Loft adjoins the Workshop, but is a separate and functional bed room. It has red gum steps leading up to the mezzanine floor. 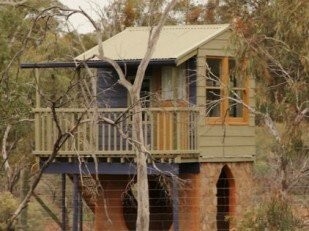 The Cubby House is quirky and fun. 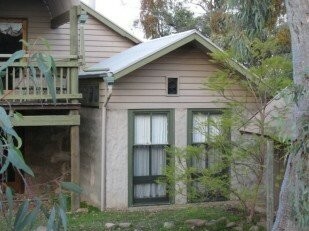 With stunning views of the mount and creek, it’s only a short walk from the Main Accommodating Area. The Bus is away from the rest, tucked away under a neat shelter. Creatively renovated into a bedroom/ lounge room. Outdoor rustic wooden dining setting. Separate shower, toilet and laundry facilities situated conveniently at the Main Accommodating Area. There are Disabled Facilities. There is even an outdoor bathtub! 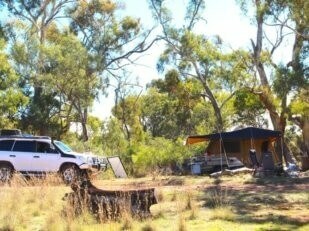 Down along the creek, dotted with majestic gums, are group and single camp sites with fire pits. All sites are a good distance apart, so you can enjoy privacy. 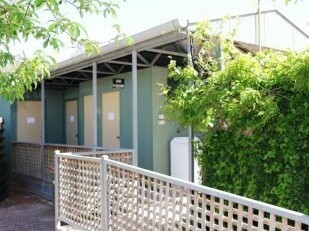 Only a short walk to Toilet and Shower Block. A gorgeous golden light on the giant gums this afternoon! Such great memories for us from Easter 2004 . You have such a wonderful life in a part of God ‘s own country! 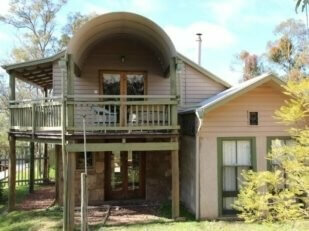 Lots of happy campers at Kookaburra Creek Retreat this Easter! It gives us so much joy to offer such a peaceful, relaxing environment for families to gather and make special memories together. Hope you’re all having a wonderful and safe Easter.